Thomas Roberts and his wife Hannah and five children arrived in SA on the `Sir Charles Forties’ in June 1839. Thomas was from Perran-ar-Worthal in Cornwall. Hannah nee Webb his wife, was from Penzance. It is believed that Thomas at the age of 16 years went to Penzance to work as a miner. The Roberts travelled to SA with Thomas’s brother Jonathon and his family. In July 1839 Thomas purchased Lot 45 Section 1 of the Hundred of Adelaide from Colonel Light. The block in Thebarton was sold in 1854. In 1845 he began working as a miner for the newly formed South Australian Mining Association. Thomas was engaged to open a copper lode on Section 5536, the work on the lode only lasted a month. A year later he was appointed as first mining Captain of the Burra Burra Copper Mine.. The Directors Minutes of the SA Mining Association of August 1845 record the following: – “Thomas Roberts to take charge of the miners for one month and to be paid the usual Captain’s wage of, £3.0.0 per week”. Nine miners accompanied Thomas to Burra, among them his brother Jonathon and son William. These were the men who mined the first load of copper ore in the district. 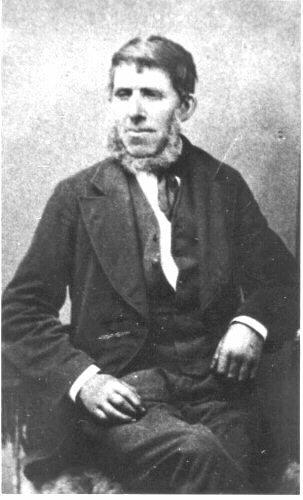 Also employed was John Barton Hack who had taken up the first Special Survey at Hermitage to cart the first load of tools and stores to the mine and to return to Adelaide with the first loads of ore.
Thomas was provided with a cart and two horses to make the 100 mile journey to the Burra Creek. It is thought that Wesleyan Methodism arrived in Burra with Captain Roberts and Captain Deeble. He remained at the Burra Burra Mine as Mine Captain for the one month he was engaged. In November .1846 with the help of his wages he purchased land at Dry Creek Section 2147 naming his property Greenwith Farm later changed to Koonowla by his descendants. He continued to add to the property over the years. The Greenwith Primitive Methodist church tools its name from Greenwith Farm. The church had its origins in a meeting in the home of the Roberts family. An offer by Thomas son Paul of half an acre of land was put forward at the meeting. Hannah was asked to lay the foundation stone of the Primitive Methodists Church on 9th June 1863. He was interested in local affairs and was councillor in 1 856 -1857. Thomas and Hannah had twelve children the first 5 were born before coming to South Australia. William b.1828 2.1904 married Sarah Smith. Had twelve children. John – b.1830 d.1917. Married Jane Gilmour had 9 children. James – b.1832 d.1899 Married Agnes Smart of Craiglea Golden Grove. 8 children. Elizabeth Ann – b.1834 d.1917 Married Robert Smart, l l children. Hannah – b.1837 d.1875 married George Fidock, 6children. Paul – b.1841 d 1903 married Mary Ann Watson, had 7 children. Jane – b.1843 d.1923 married Charles Fleeting Smart lived at Ardtornish Farm, Modbury. 11 children. Emmanuel – b.1845 married Elizabeth Foulis of Daisy Banks, Modbury, had 8 children. Rosinna – b.1847 d.1919 married Edward Stevens in Greenwith Primitive Methodist Church in 1886.The first wedding officiated in the Church, they had 14 children. Thomas – b.1848 killed 1869. He was engaged to Elizabeth Jane Gilmour of TTG. Thomas was killed after being thrown from his horse whilst returning home from visiting his sweetheart. Buried at GG Cemetery. Elizabeth Gilmour the following year married John Roberts, second son of Thomas and Hannah. Henry – b.1851 d.1919. 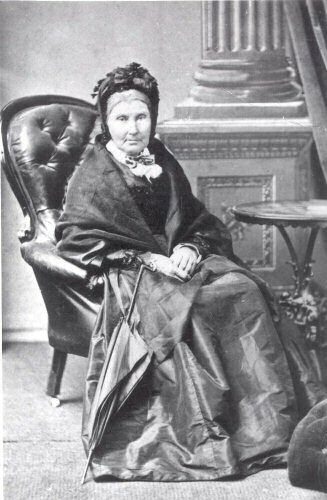 Married Rebecca Carter, 7 children. Charles b.1854 4.1881. Buried at GG Cemetery..